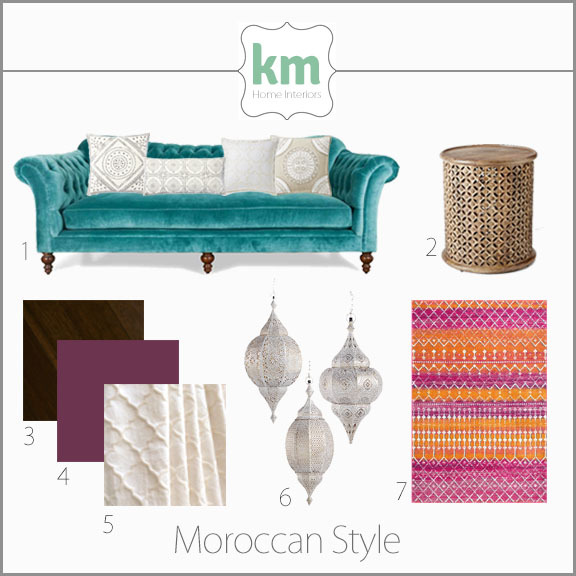 This month’s Design Style Guide is all about the exotic, iconic style of the country of Morocco. Moorish architecture, beautiful jewel tones, intricate patterns, and hand woven fabrics all combine to create a warm, romantic, and luxurious feel. Definition Bold colors and rich fabrics are the signature of Moroccan style. Along with beautifully detailed patterns in the architecture, lighting, and accessories, this style is all about opulence. Floor pillows and stacked area rugs can be used in lieu of traditional seating. Creating a feeling of warmth, romance, and wealth is the goal of this exotic style. History The country of Morocco has a long history going all the way back to 110 BC. Throughout the centuries, several cultures and religions occupied the area, each bringing their own unique styles and making an impact on the local architecture and designs. The Moors had perhaps the biggest impact, bringing us the iconic Moorish architecture that includes horseshoe arches, ornate wall tile, and intricate woodwork. During the early 2000’s, this historic style slowly began to gain in popularity here in the US. It’s a great style for use in sitting areas, kitchens, and courtyards. This timeline reflects how long the style has been significant here in the US. Spot the Style Moroccan style can most easily be spotted by the intricate, ornate designs. 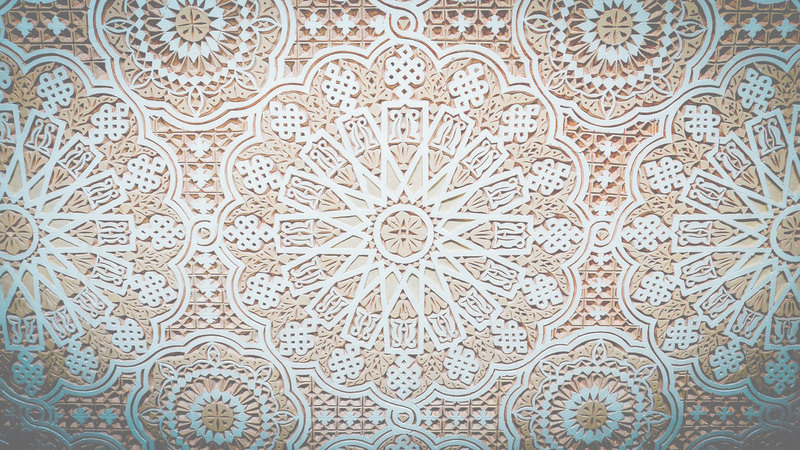 From carefully carved woodwork to hand painted ceramic tile to ornate woven fabrics Moroccan style is about opulence. The classic Moorish lantern is a staple of any Moroccan inspired space. Every surface is carefully considered from dark wood floors decorated with ornate rugs, to wall tapestries, to beautifully detailed ceilings. Furniture is equally ornate. Combined with beautifully bright jewel tones, this style is warm, welcoming, and lavish with a touch of romance. Notables In the last few years, the Moroccan style has been receiving a decidedly contemporary makeover, allowing it to be easily incorporated into homes without it becoming overdone. From Khloe Kardashian’s Moroccan inspired home to Betsy Burnham’s tasteful nod to Morocco in her design for an LA home, a space doesn’t have to be decked out in orange and azure to integrate the exotic romance of this North African style.